Our team comprises of highly committed journalists who leave no stone unturned to bust fake news stories. This team is well versed with all the verification tools that are available. The team is well trained in busting fake news. The team works whole week to make sure that no fake news corrupts the thoughts of innocent readers. Our goal is to create a clean and safe political environment so that people can take unbiased decisions. Rajesh Upadhyay is a senior journalist with more than 20 years of rich experience in mainstream journalism. Currently, he is Editor-in-Chief and Vice President at Jagran New Media – digital arm of the Jagran Group. He is a postgraduate in Journalism and Mass Communication and an alumnus of IIM Indore’s Editorial Development Programme. He has in-depth knowledge of conceptualization and functioning of Print as well as Digital media. He has demonstrated experience in strategizing content, deploying digital teams and devising news stations and workflows to achieve measurable results. 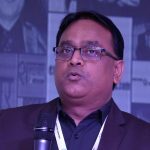 He is a certified Google News Initiative Fact-Check and News Verification expert and has attended numerous other workshops on this subject organized by Google, facebook, Crowdtangle and ICFJ. He also attended the Hands-on Fact-Checking: A Short Course – Poynter University’s eLearning course. He has also been the driving force behind vishvas.news, the next-generation fact-checking and news verification portal. Pratyush Ranjan, who is working as Senior Editor at Jagran New Media, has more than 15 years of experience in digital media. His total experience in journalism is of more than 17 years. His key expertise areas are Digital Content Management, Newsroom and Editorial Process Management, Cross-functional Team Leadership, Writing, Editing, Search Engine and Social Media Optimisation, Organic Growth of Videos, YouTube etc. He has previously worked with ETV News, Instablogs, India Today Digital, Dainik Bhaskar Digital, Hindustan Times Online, News Nation Digital and IndiaTV Digital. Pratyush is a Google Certified Fact-Check Trainer and has attended the Google News Initiative training workshops as trainer also. Pratyush has also been part of several Facebook Fact Checking Workshops. He is a Post Graduate and Graduate in Political Science from Hindu College in Delhi University and has PG Diploma in Journalism degree from Delhi University. Ashish Maharishi is Social Media Manager in Jagran New Media’s Fact-Checking team. He has 12 years of experience in print and digital media. In print journalism, he has worked with TV18 Group in Mumbai and Dainik Bhaskar Group in Bhopal. In digital journalism, he has previously worked with Dainikbhaskar.com and India Today Group’s website, Lallantop. He has attended a 5-day Fact-Check and News Verification training conducted by a Google certified trainer. He also received Crowdtangle training and Hands-on Fact-Checking: A Short Course – Poynter University’s eLearning course. Gaurav Tiwari is working as a News Editor with the fact-checking team of Jagran New Media. He has 14 years of digital journalism experience with previous stints at livehindindustan.com and UC News India. He has the expertise to drive the data through Big Data technology. He has attended a 5-day Fact-Check and News Verification training conducted by a Google certified trainer. He participated in Crowdtangle training and Hands-on Fact-Checking: A Short Course – Poynter University’s eLearning course. Rama Solanki is a distinguished name in the field of Media and Journalism. She is a prolific writer, a suave technocrat and an expert in digital media. She has wide experience in the field of media and journalism spanning over more than a decade and has worked with the leading TV and Media houses of the country as a political journalist and News Anchor. Her grasp on the technology and flair for the digital media has brought her into a different league of media professionals. Her skills have been acknowledged by the global tech Giant, Google Incorporation and she is the certified trainer for the Google. Even after such an illustrious and glorious career her thirst of learning continues and she is pursuing her Ph D in Digital Media. Pallavi Mishra is the Quality Check Manager at Jagran New Media and works as a fact-checker and proof-reader. Her specialization is verifying, re-checking and adding value to the stories. She is a media professional with over 8 years of experience in digital media. 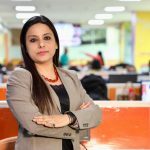 Before joining Jagran News Media, Pallavi has worked with media houses such as NDTV, India Today and IANS. She attended a 5-day Fact-Check and News Verification training conducted by a Google certified trainer. She is also a recipient of Crowdtangle training and Hands-on Fact-Checking: A Short Course – Poynter University’s eLearning course.